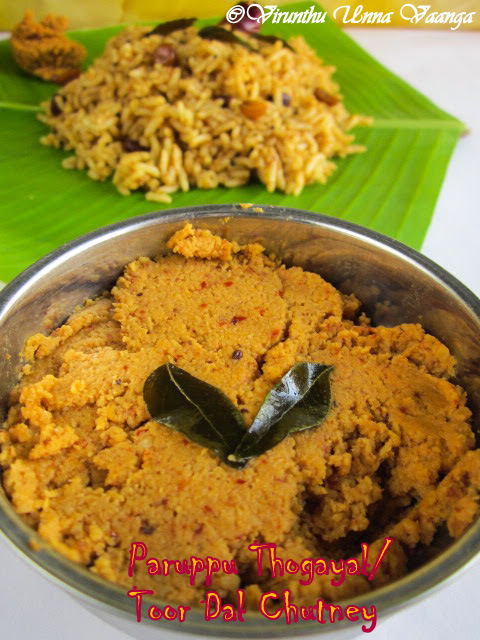 Hi friends, today come up with very simple yet delicious side dish for puliyotharai and rasam rice. We usually prepare it for rasam rice, I love the thogayal much. 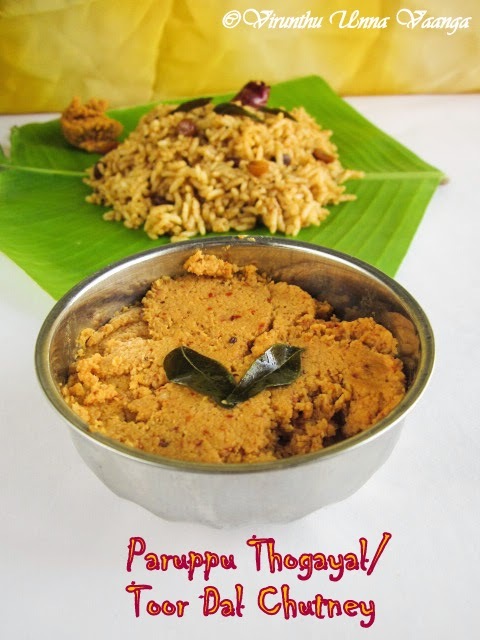 Yesterday, I prepared Kovil Puliyotharai and made the yummy thogayal for sides. 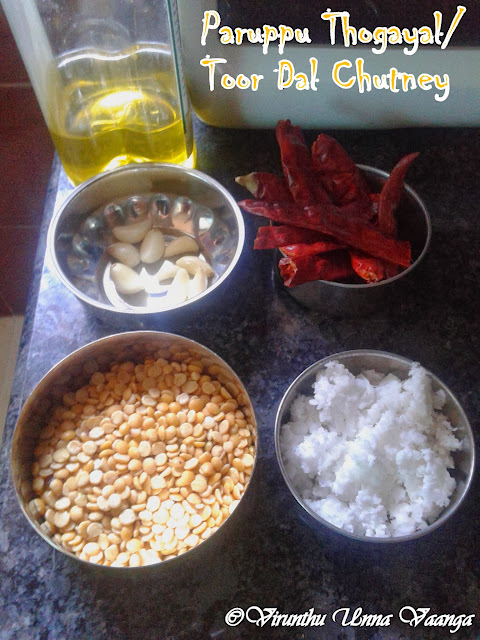 Just four main ingredients needs for the delicious chutney. Heat oil in pan; add toor dal, red chillies roast it till the aroma comes or the dal turns golden brown. 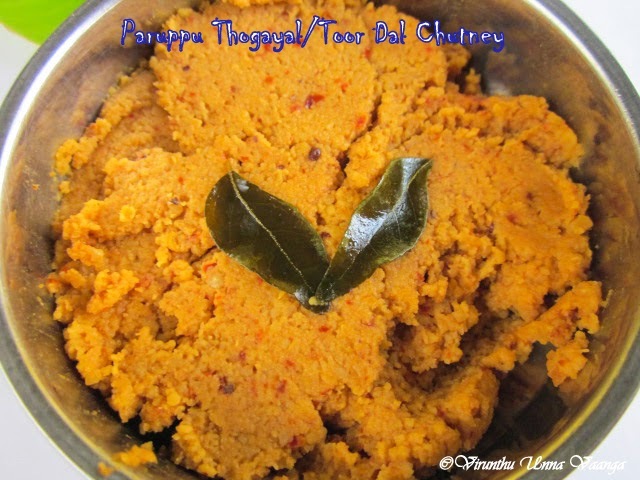 Now add garlic and grated coconut with the mixture add enough salt and water blend into a thick paste like chutney. 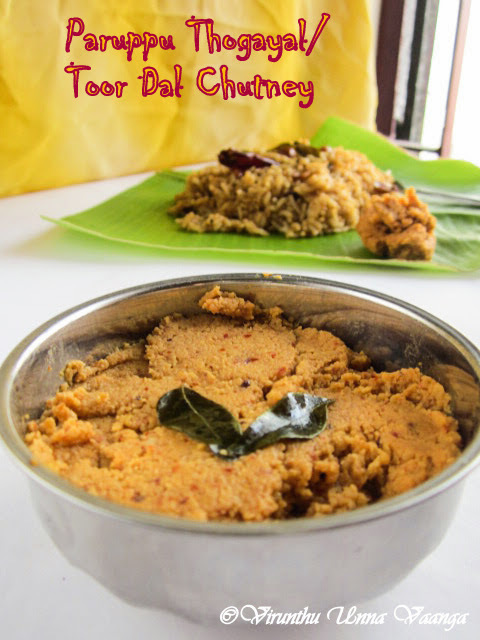 Serve it with kovil puliotharai/Tamarind Rice/Rasam rice. 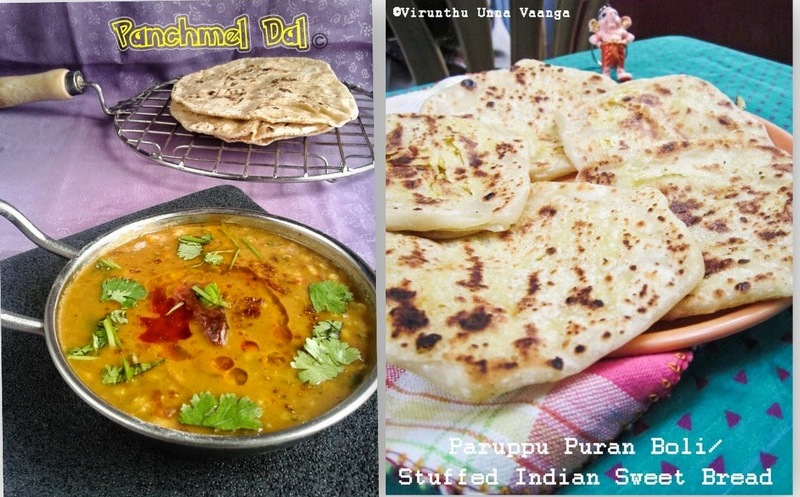 You can add few curry leaves while roasting the dal. 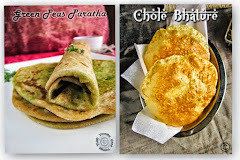 Yummy and spicy chutney.......very tempting! 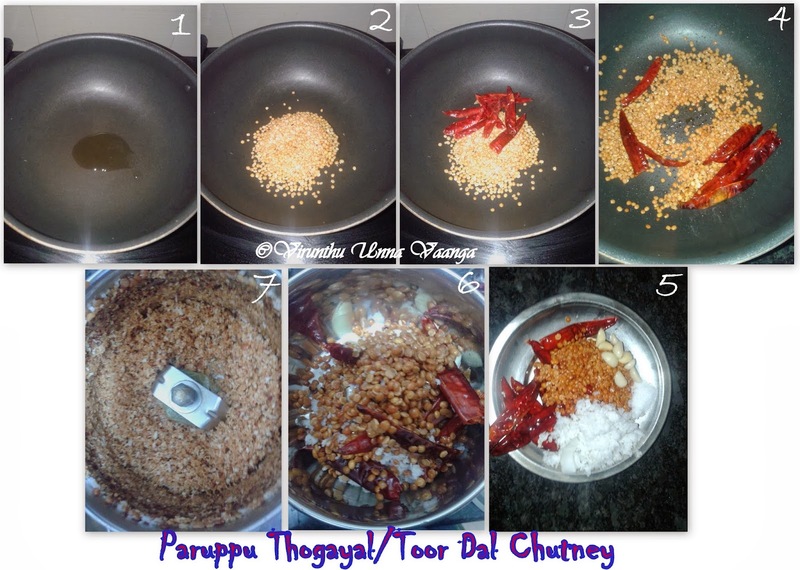 I love paruppu thogalyal .With rasam rice it taste great.Loved ur clicks with plaintain leaves. 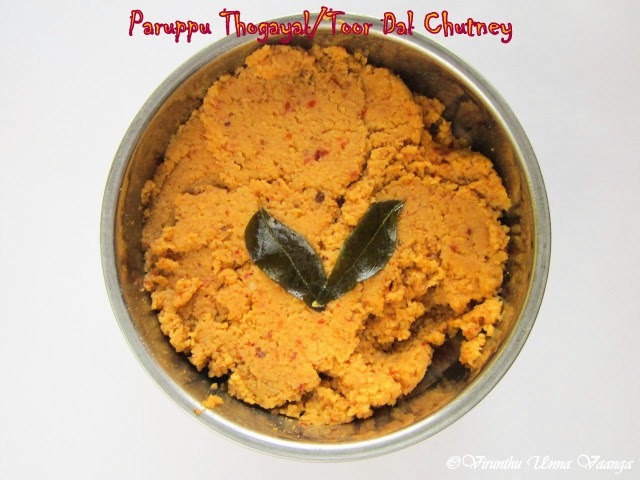 Very flavorful and yummy chutney.